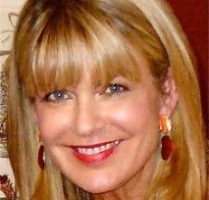 Karen Hinton previously ran her own firm for more than 15 years. New York Mayor Bill de Blasio has named Karen Hinton, president of Hinton Communications, as press secretary. Hinton will fill the role vacated by Phil Walzak, who served as press secretary before being appointed senior advisor to the mayor in February. She is a longtime friend of de Blasio’s, according to The New York Times. "Since our days together at the US Department of Housing and Urban Development, Karen has dedicated her life’s work to addressing inequality," the mayor said in a statement. Hinton was not immediately available for comment. Before starting her Washington, DC-based firm in 2000, Hinton served as senior communications advisor for former Housing Secretary Andrew Cuomo during the Clinton Administration; communications director for DC Public Schools; press aide for the late Democratic National Committee Chairman Ron Brown; and press secretary for former US Congressman Mike Espy of Mississippi. On Thursday, some journalists pointed out that Hinton mysteriously deactivated her Twitter account. What new candidate won the week in the media?